Heidelberg, June 27, 2017 – Zooby® was developed for the professional cleaning of children's teeth. 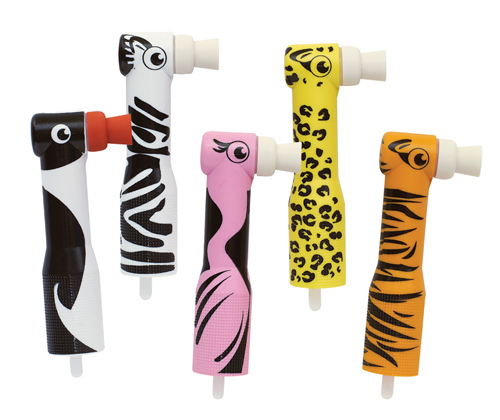 The colourful prophylactic products are decorated with motifs from A for Alligator to Z for Zebra. Young patients can select an animal friend that accompanies them throughout the treatment. This makes everything more tolerable and paves the way to optimal oral hygiene. Depending on the prevailing mood, high-quality prophylactic angle pieces are available with tiger, flamingo, penguin, cheetah or zebra motifs. A number of polishing agents are also available in popular flavours. Special ingredients ensure less splatter and optimal removal of discolouration. The professional teeth cleaning process includes the thorough removal of coatings and the cleaning and polishing of not only the tooth surfaces but also the interdental spaces. This minimises the risk of caries and complications. Correct brushing techniques are also explained and practiced. 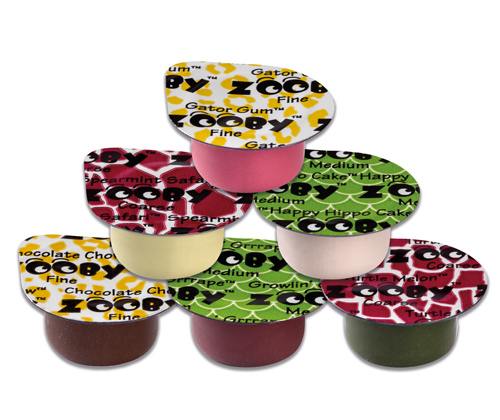 The colourful products from Zooby® involve children in a playful way from the very beginning of the process. Kids enjoy anxiety-free therapy in a relaxed atmosphere. This creates a positive basis for further visits to the practice, as well as forming a basis for trust that will benefit them for the rest of their lives.